The Low false bindweed is the most localized of our bindweed, can only be found between Gatineau and Trois-Rivières on sandy alluvium. 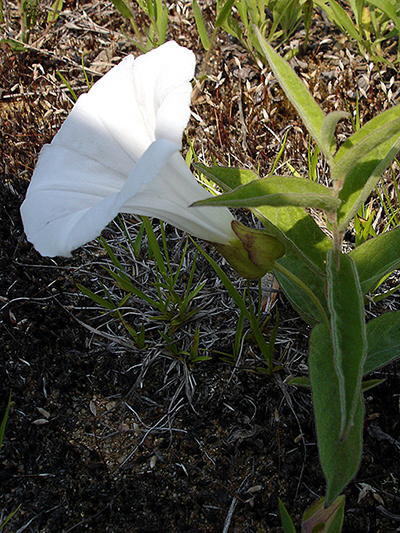 In addition, the Low false bindweed is rarely a vine (climbing) and its stem stands upright without support. Its flowers are almost always white. Reproduces primarily by the growth of its rhizome (underground stem). As it's almost never climbing, it's not considered an invasive plant or weed. The plant often has a "wilted" look because it prefers dry places.